Appel & Yost LLP is a full-service law firm with a century-long tradition of practicing law and providing legal services to the communities of South Central Pennsylvania dating back to 1883 with offices in Lancaster, PA; Leola, PA; Quarryville, PA; Strasburg, PA; and Christiana, PA. Appel & Yost LLP attorneys provide legal advice and representation for individuals, companies, organizations and municipal entities within Lancaster County, Chester County, Dauphin County, York County, Berks County and Lebanon County. Our areas of legal practice and service include Estate Planning and Estate Administration; Wills, Trusts, Estates, and Elder Law; Business and Commercial Law; Family Law, Divorce, Custody, and Adoptions; Real Estate, Zoning and Land Use; Civil Litigation; Municipal Law, and Tax Law. The complexity of modern law and business requires that attorneys specialize. At Appel & Yost LLP, the attorneys limit their practices to matters within their areas of expertise and interest. Referral within the firm and collaboration among the attorneys assure that clients receive the highest quality and most efficient service. Moreover, routine tasks are delegated to paralegals, who themselves are specialized, in order to assure cost efficiency. Appel & Yost LLP employs the latest technology in its practice of the law. The firm maintains computer research facilities and subscribes to numerous governmental and private databases and information services which helps the firm provide especially prompt service, and permits the attorneys to assist clients whose circumstances require an immediate response or rapid turn-around. 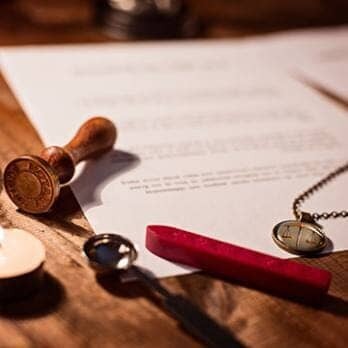 The experienced estates, trusts and elder law attorneys at Appel & Yost LLP assist clients with sophisticated and complex estate planning matters from the simplest of wills to the most complex federally taxable estate plans. You can trust that the experienced estate administration attorneys at Appel & Yost LLP will handle the administration of the estate down to the last detail so that you can focus on being with your family in your time of need. The experienced business and commercial law attorneys at Appel & Yost LLP can assist clients in selecting the proper legal entity in which to conduct their business. Copyright © 2019 Appel & Yost LLP. All rights reserved.